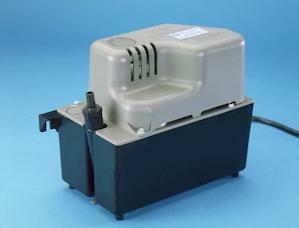 The KT3 uses a double splash protected motor with more starting torque than a standard motor. An innovative cam-action switch/float assembly allows a drink nearly twice the standard volume without increasing outside dimensions. An integral, full-flow check valve virtually eliminates blocked pump discharge. The KT3 series pumps now have 3 top inlets adding installation flexibility.